The Battle of the Clouds (also known as the Battle of Warren, Battle of Whitehorse Tavern, or the Battle of Goshen) was an engagement of the Philadelphia campaign of the American Revolutionary War almost fought on September 16, 1777, in the area surrounding present day Malvern, Pennsylvania). After the American defeat at the Battle of Brandywine, the British Army remained encamped near Chadds Ford. When British commander William Howe was informed that the weakened American force was less than ten miles (16 km) away, he decided to press for another decisive victory. Washington learned of Howe's plans, and prepared for battle. Moments before the attack, a torrential downpour ensued. Significantly outnumbered, and with tens of thousands of cartridges ruined by the rain, Washington opted for a tactical retreat. Bogged down by rain and mud, the British allowed Washington and his army to escape. In the days following his defeat at Brandywine, George Washington was intent on accomplishing two contradictory tasks: (1) protecting Philadelphia from British forces under William Howe and (2) replenishing rapidly dwindling supplies and munitions from stockpiles in Reading, Pennsylvania. For reasons known only to General Howe, the British did not immediately pursue Washington’s retreating army after the victory of September 11. 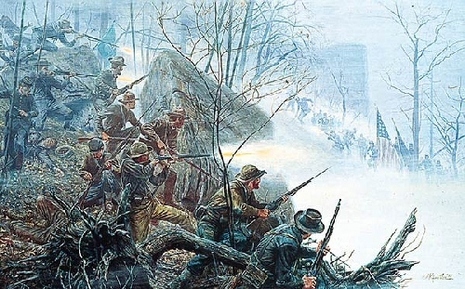 Instead, Howe remained in camp for several days along Brandywine Creek, then resumed the chase. Washington received word of the British advance and chose to make a stand at a location on a valley road between Lancaster and Philadelphia. 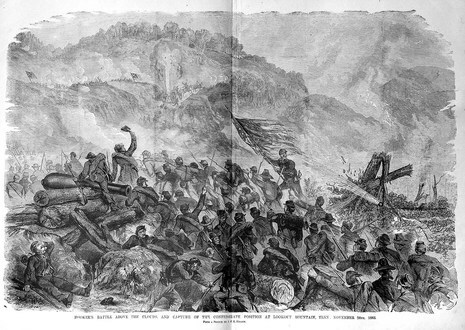 Skirmishing began on September 16 and British forces initiated flanking movements around the American lines. Before the armies were fully engaged, however, rain began and quickly turned into a steady downpour. Powder became wet, making firearms useless. This “battle” in the clouds of rain and fog never developed. Washington withdrew his forces, led his army to Reading for supplies and left behind a small force under Anthony Wayne to harass the presumed British movement toward Philadelphia. Howe’s army found it nearly impossible to follow Washington over the rutted, muddy roads. The decision was made to wait out the storm, then move toward their objective. Wayne established a camp near Paoli, where he would be surprised by a British raid a few days later.